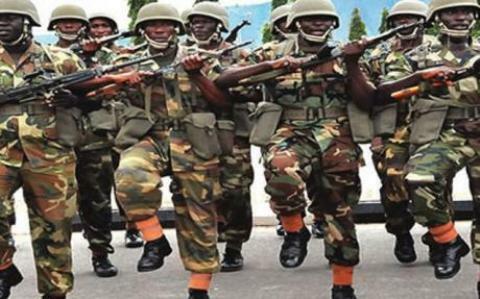 LAGOS SEPTEMBER 26TH (URHOBOTODAY)-Events surrounding a recent seizure of three fuel laden Mack tankers by army men of 3rd Battalion stationed at Warri, Delta State, their consequent alleged attempt at extorting the truck owners of N300, 000 for each truck, vandalising of the said carriers and theft of over 50,000 liters of diesel in the tankers after they were transferred to men of the Nigerian Security and Civil Defence Corps (NSCDC) has exposed the other side of the current military campaign going on in the Niger Delta. Unknown to many, Delta State would have been grounded by strike action initially planned by members of the National Union of Petroleum and Natural Gas (NUPENG) two week ago over the matter and what appears to be a subterranean struggle by men of the security agency to control movement of petroleum products in the region. As gathered reliably, the three tankers were owned by Biswa, an oil supply concern based in Port Harcourt. On August 18, the tankers loaded fuel, diesel, specifically, in Oghara, Delta State from depot called Nepal. The fuel was meant for NPN, telecom mast operators in Enugu. It was learnt that the heavy duty vehicles only moved two days later after the drivers were provided with travel logistics. But at Osubi Junction, the drivers were accosted by three military police officers. Though the full names of the officers could not be ascertained, it was learnt that the first names of the officers were given as Eze, Nicholas and Amadi. At the junction, the army men insisted that the fuel being conveyed by the tankers was a product of illegal refineries that dot the area. The drivers reportedly supplied the soldiers with documentations that authenticated the source of the fuel but were rebuffed. The tankers were then boarded by the soldiers and taken to the barracks at Effurun. At the place, the soldiers demanded N300, 000 for each truck. “They explained that the money would be paid to the Department of Petroleum Resources (DPR) to carry out analysis on the fuel so as to ascertain that they are not from illegal refineries,” explained Cletus Omi, an assistant manager with Biswa, owners of the trailers. According to him, the demand marked the beginning of their ordeal in the hands of the army men. The company later managed to bring officials of NUPENG into the matter. The union had then gone to the barracks to vouch for the quality of the fuel, stating that Biswa was its member. This struck truck owners as odd because the Civil Defence ought to have been the first port of call for the army when they impounded the vehicles. NSCDC, still in another strange twist hired drivers from Asaba and deployed them to Warri to bring the trailers. None of the tankers made to Asaba. Rather, one of them, allegedly got stuck in Warri while two others made it to Ughelli office of NSCDC. By the time Biswa and NUPENG officials got to see the trucks, they were shocked that their contents were almost all gone with the trailers vandalised. Biswa said that the one that got stuck in Warri had had its diesel depleted by 42,000 liters remaining only 3,000 liters from its total content. For the two in Ughelli, one of them is 8,000 liters short. Also, the manholes in one of the trucks were broken. Replacement for them, says Biswa may cost up to N500, 000. NUPENG says it is yet to take official position on the matter so can’t comment officially. But an official from its Delta State branch told Independent that the ordeal of Biswa is sharply on the increase in the area with the massive deployment of troops in the region. “We were under the impression that the military is here to maintain peace and order and not dabble in oil business,” stated the NUPENG official in voice loaded with sarcasm. Independent finding from DPR also shows that it never asked for money to analyze samples. “In any case, the whole story does not in any way reflect our protocol in handling matters such as this,” a DPR source told Independent. But the newspaper learnt that acts such as these, reported criminal lifting of condensate in the creeks and increased activities of crude oil theft and illegal oil refinery are subjects of intense investigations by some government agencies. It was learnt exclusively that these vices may well explain the wave of intense lobbying by army and other paramilitary personnel to be deployed to the Niger Delta so as to be part of the ‘Operation Crocodile Smile’ being undertaken by the Nigerian military to rout the renewed insurgency in the oil rich region. Bombing of oil pipelines and other installations undermined the country’s oil production and export capacity, cutting crude oil output from 2,5 million bpd budget benchmark to 700 million bpd. As a result, government says it can’t fund its expenditures. Though the insurgents, chiefly, the Niger Delta Avengers (NDA), agreed to a ceasefire conditioned on talks with Federal Government, the military backed with offensive hardware has since moved into the restive region. While the offensive may have been yielding results by putting insurgents to rout, there are indications that other vices like sales and supply of illegally refined fuel, diesel and crude oil theft has continued unabated. “This can only happen as a result of active connivance by rogue elements in the security agencies and military who are regularly on patrol,” explained an official of DPR, a sub-autonomous body responsible for petroleum product movement and regulation in the Nigerian National Petroleum Corporation (NNPC). The DPR official asked not to be named because nobody was authorised to speak yet on the matter. The source added that the department is rather chagrined as to why there has been a corresponding decrease in illegal sales and movement of crude oil and refined products in the region. The observation from the DPR source may well be in sync with a growing concern by military hierarchy of intense lobbying by military personnel to be moved away from the war in the North East theater to the Niger Delta. Same goes for other paramilitary arms of the security like the police and NSCDC.